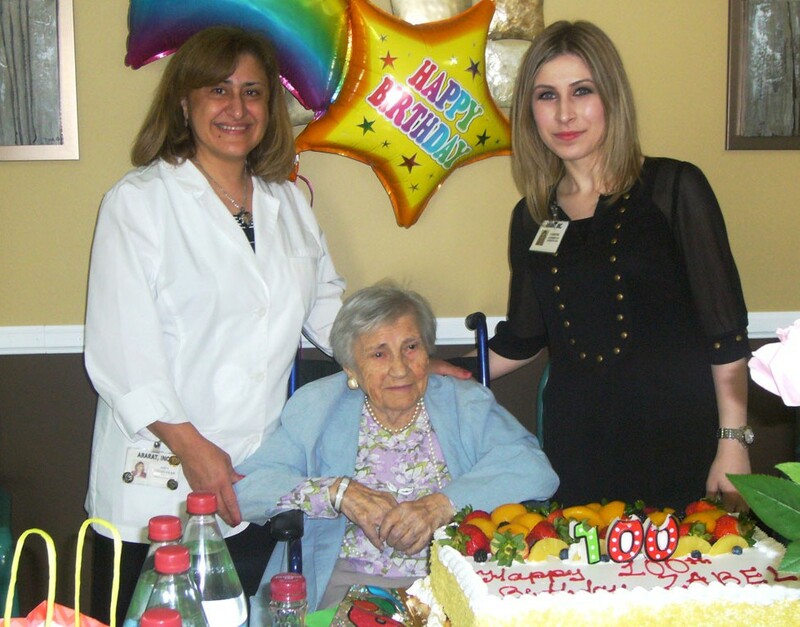 Zabel Krikorian, a Genocide survivor, celebrated her 100th birthday on May 15, 2014, at Ararat Convalescent Hospital in Eagle Rock, California. 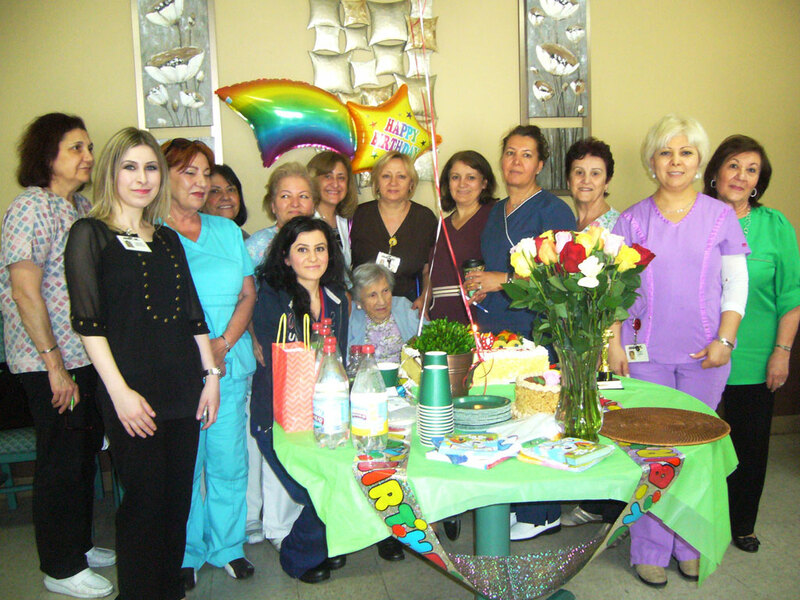 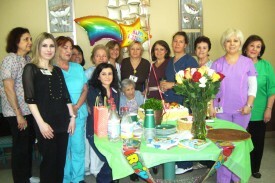 The nursing staff and administration prepared a wonderful party in her honor. 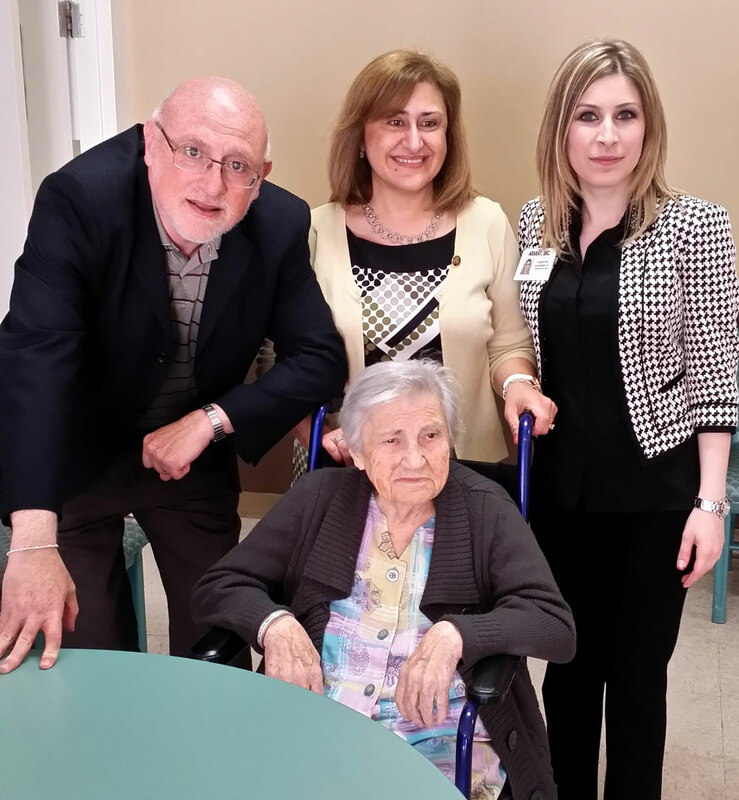 A few days earlier, she met with members of the Ararat Home Board of Trustees and entertained them with a few recitations and Armenian songs. 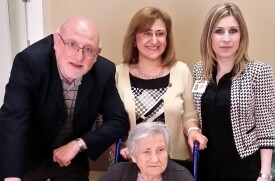 Board Chairman Joseph Kanimian, Esq., commended her positive Armenian spirit and congratulated her wishing her continued good health. 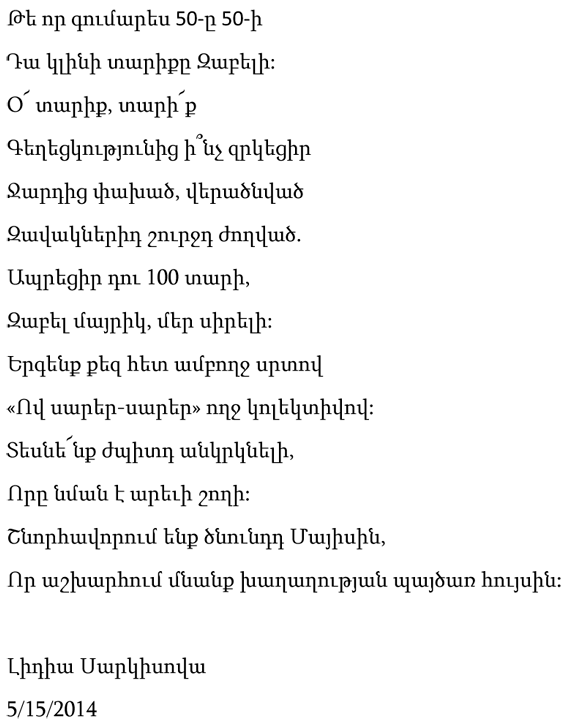 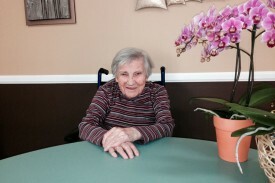 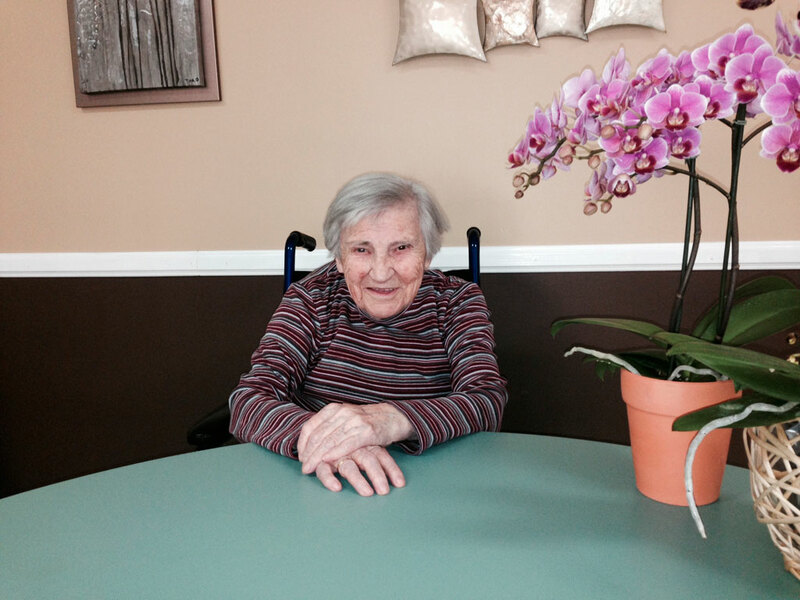 Below is a poem written by Lidia Sarkisova, a staff member at Ararat Convalescent Hospital, to Mrs. Zabel Kapamagian on the occasion of her 100th birthday.